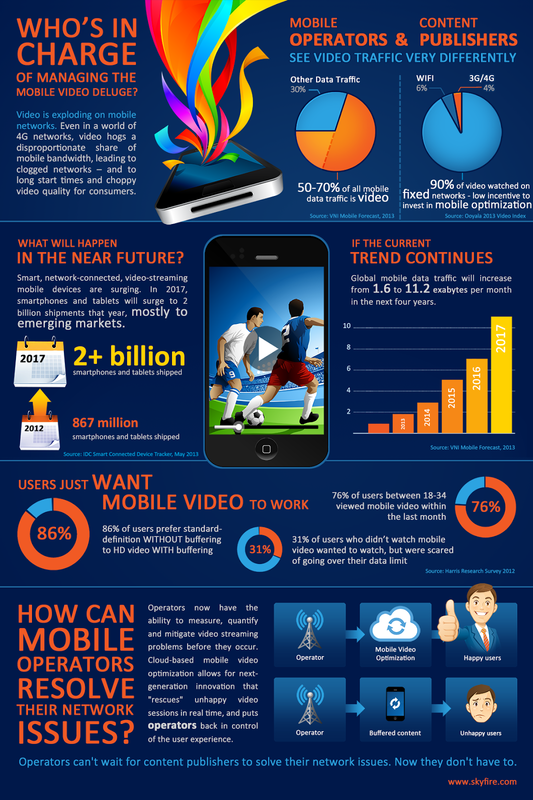 Check out the sweet infographic on what will happen to mobile data usage and mobile networks over the next 5 years. In the US where AT&T, Verizon, Sprint, and TMobile operate some of the most advanced networks in terms of Smartphone penetration, 4G LTE, and consumer data demand we are already seeing 50% + of the network bandwidth being taken up by Video. Then rest of the top 600 operators will find themselves in a similar situation very soon. If you combine the above Video trend with the other mega trends, the massive shift away from feature phones to smartphones (driven by cheap androids today, but may have other players like Firefox OS joining the fray soon) ... you start to see the dilema Mobile Network operators are finding themselves in.